SES America, Inc. has recently extended its display board product line for the Florida Department of Transportation with the approval of a white LED display board by FDOT’s Traffic Engineering Research Laboratory. Currently the display board is available in a 66mm pixel pitch with a bright, highly efficient pure white LED that is ideal for both AC powered and solar applications. The display board meets all NEMA TS4 requirements and was tested by an independent, certified laboratory for performance in luminosity, chromaticity and ability to perform under the stresses of a roadway environment. 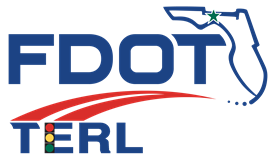 SESA intends to deploy embedded DMS utilizing the brilliant, white LED display in signage for FDOT’s Truck Parking Availability System in District 3 in the coming weeks.